Again for a friend of mine, but actually the first time I have painted models that are so old! late 90's i believe. I received them already primed with Army Painter green, so had to work from there. 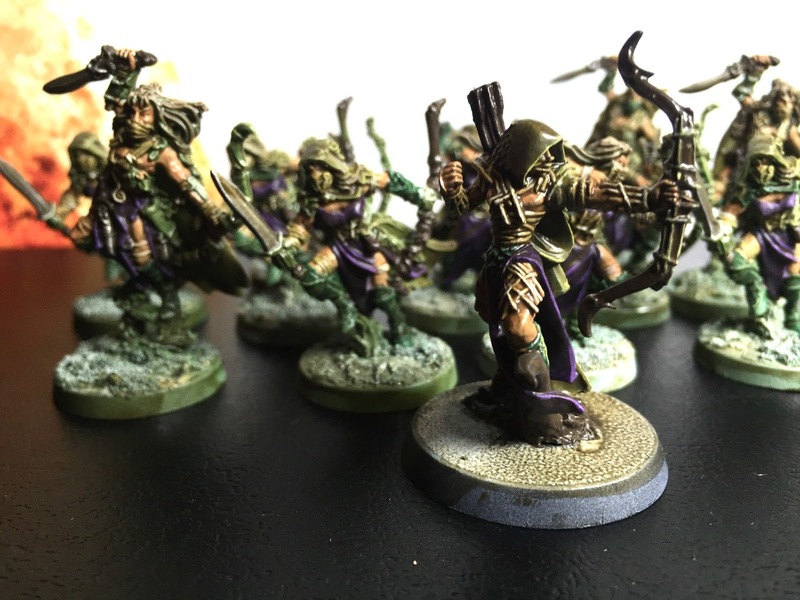 These were a pretty quick unit to paint with the technique I used for the 47 Glade Guard. Below is some pics and how I done it. I wanted to get a bit more zenithal highlights down, so I sprayed the models from above with Dead White from Game Air range. I repeated this on the unit too. I then picked out some details with a glaze of Caliban Green. The stipulation from my friend was that the pop out colour would be purple, so I chose this to be the waywatchers loin cloths and the female aelves dresses. I then repeated the process with Gorthor Brownpicking out details on the minis. 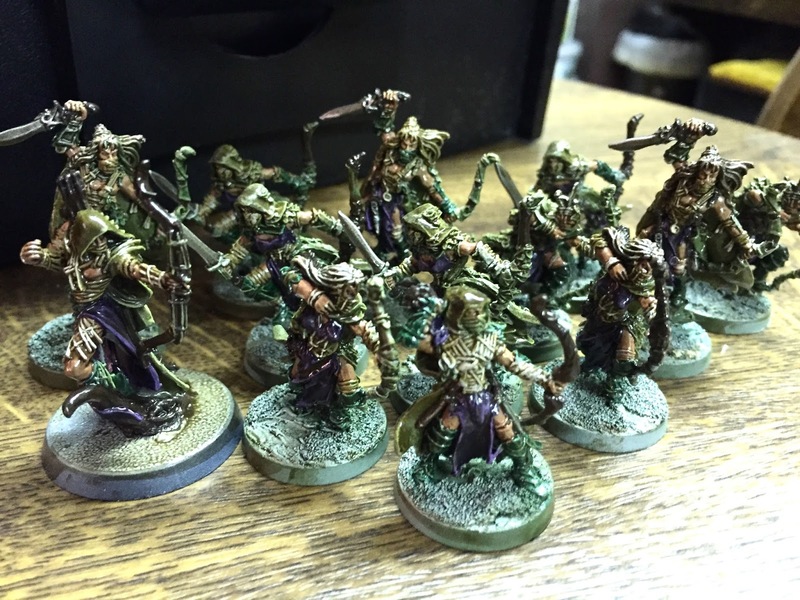 The next stages were the details of ropes with Zandri Dust, metallics with Leadbelcher and arrows and bows with Dryad Bark, this was followed by a coat of Army Painter Softtone Quickshade all over the minis. 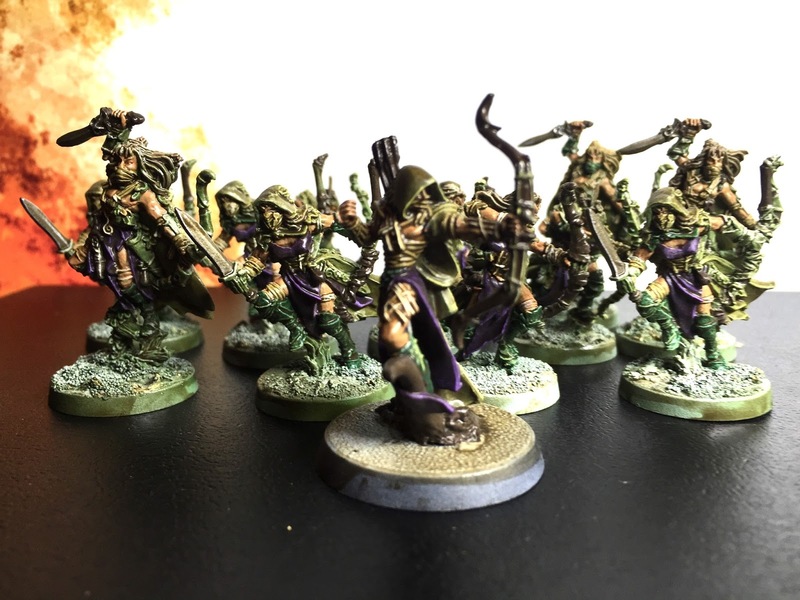 I finally edge highlighted the purples with Genestealer Purple, the ropes and stitches with Screaming Skull, the metallics with Stormhost Silver and greens with Ogryn Camo before giving them all a coat of Matt Varnish from Vallejo. 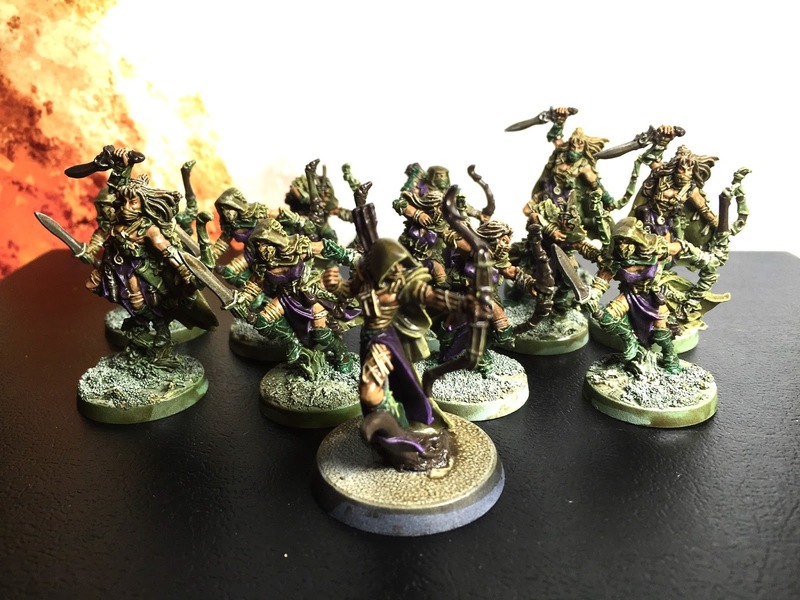 The bases once again are to be done by the owner, but thats it, a quick and easier method for getting a good quality speed painted unit.